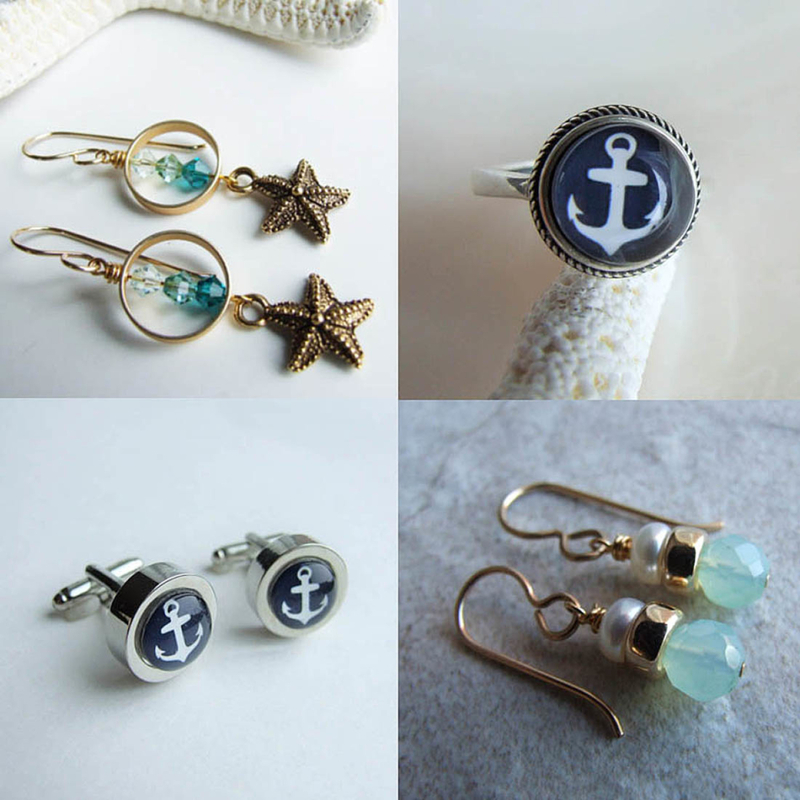 An eclectic collection of handmade jewelry inspired by the beauty of Maine. 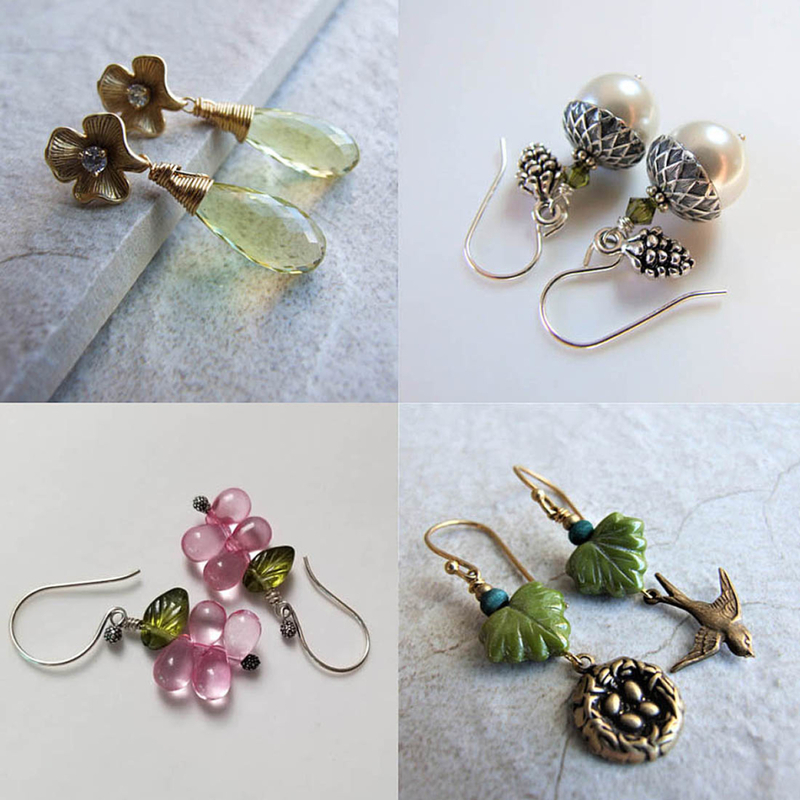 Materials include vintage beads, semi-precious stones, organic beads such as wood, shell, and bone, and metals including sterling silver, pewter, gold-filled, vermeil, virgin brass, and vintage tin. Styling ranges from updated traditional to inspired contemporary. 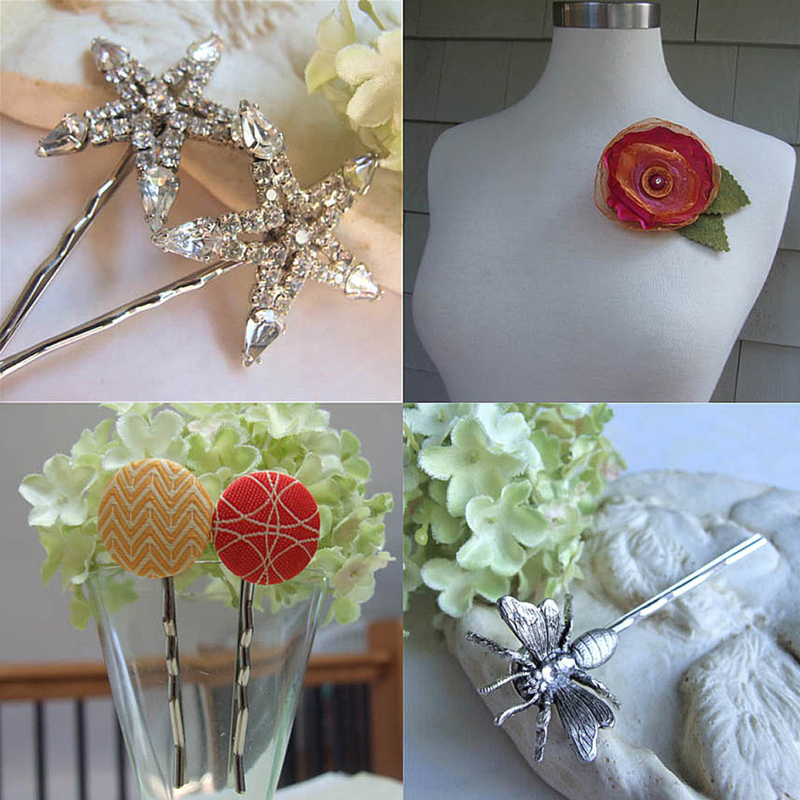 Other products include hair jewelry (bobby pins, hair clips, barrettes, and combs) made from re-purposed vintage jewelry. Hand sewn flowers made from a variety of fabrics including hand-dyed Shibori silk, satin, tulle, feathers, ribbon and more! 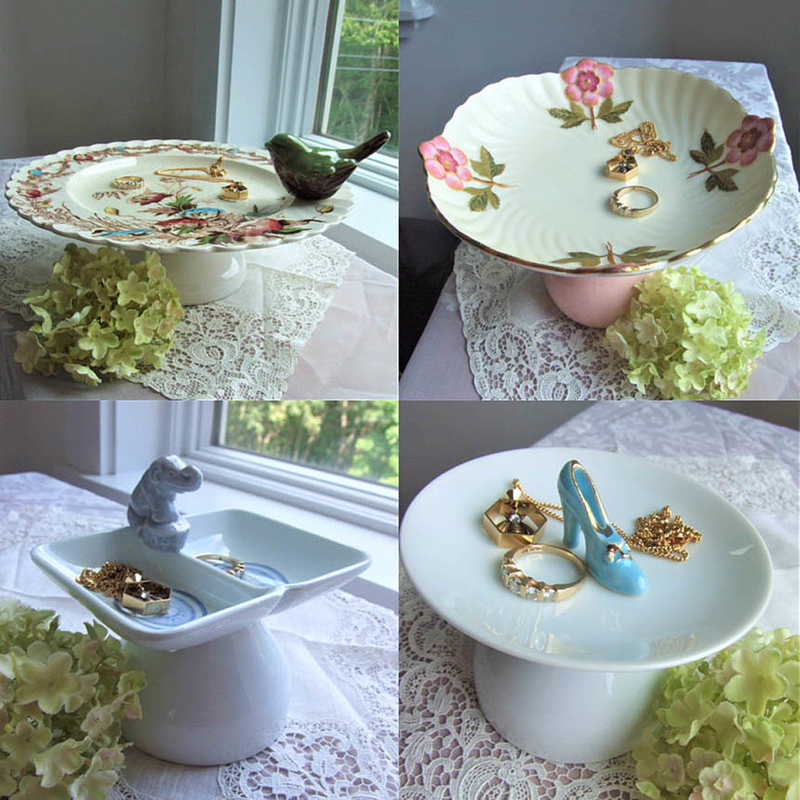 I also create “jewelry catches” — multi-tiered towers for stashing jewelry (or anything else you want); each one-of-a-kind design is made from vintage and contemporary pottery and china and embellished with unexpected distinctive and/or whimsical components.